I am not a huge fan of party favors at birthday parties and often try to find a way to incorporate party activities and party favors into one. 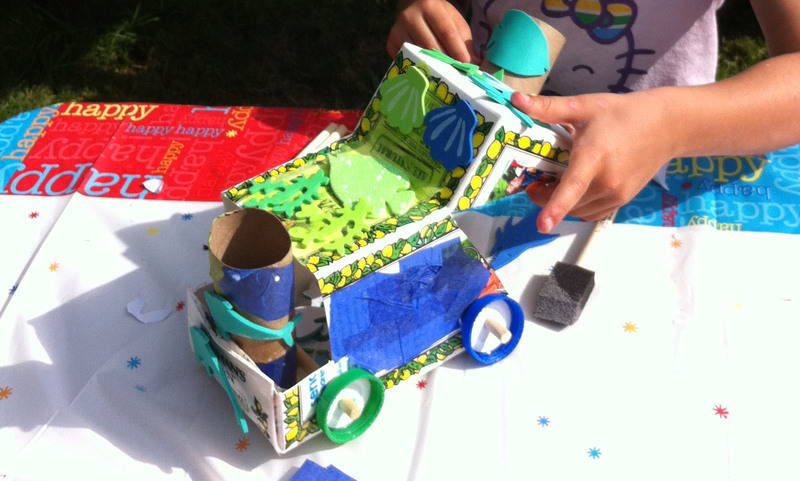 This garbage truck craft was the perfect solution for my son’s 3rd birthday. 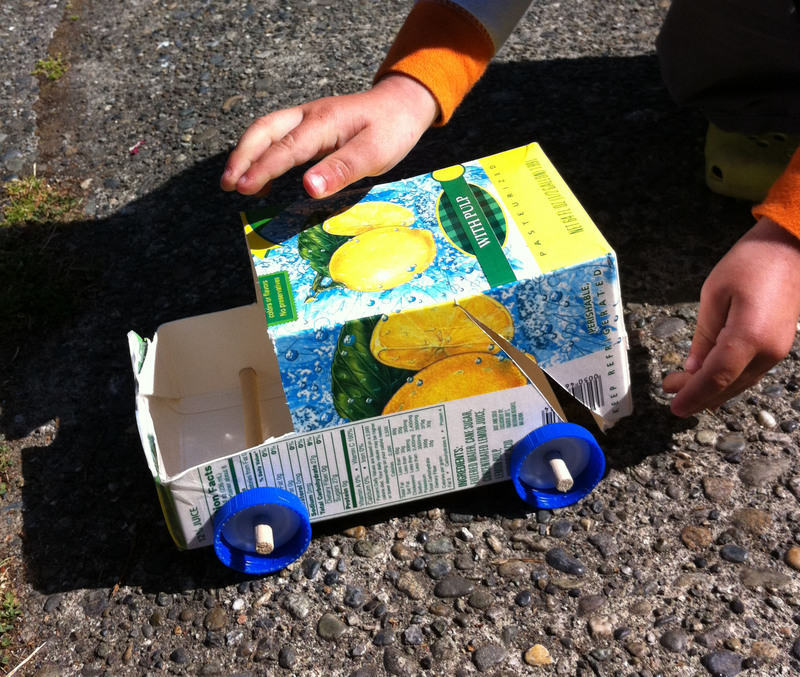 I got the idea for this garbage truck craft from Pinterest. http://www.pinterest.com/pin/430938258066104219/ Someone had created a similar garbage truck and I took it one step further in hopes of making the garbage trucks a bit more sturdy using wooden dowels for axles and drink lids for wheels. Step 1. 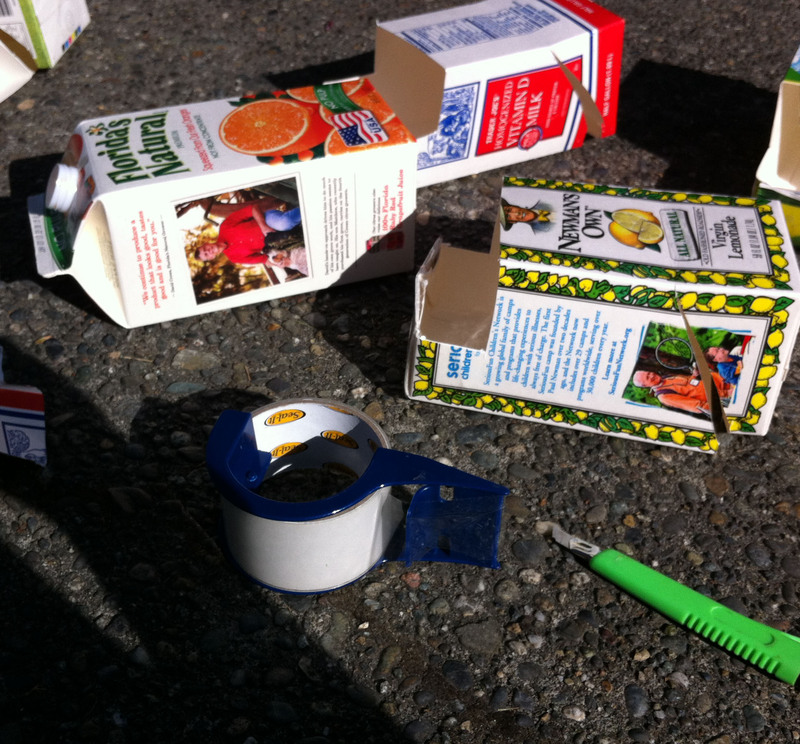 Collect milk and juice half-gallon containers. Milk containers can be a bit stinky so wash/dry really well. 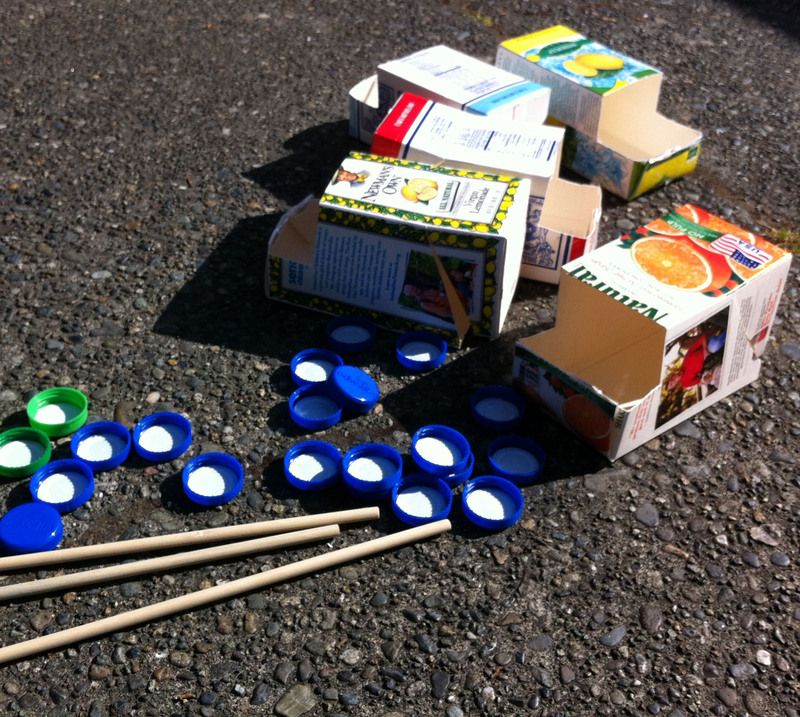 For each child/garbage truck you want to assemble at the party, you will need one half-gallon carton, 4 juice lids, 2 pieces of wood dowel, and one toilet paper roll. Step 3. Measure the amount of dowel needed for the axle and then cut enough pieces for all the trucks. I purchased the dowels at the local craft store. Step 4. 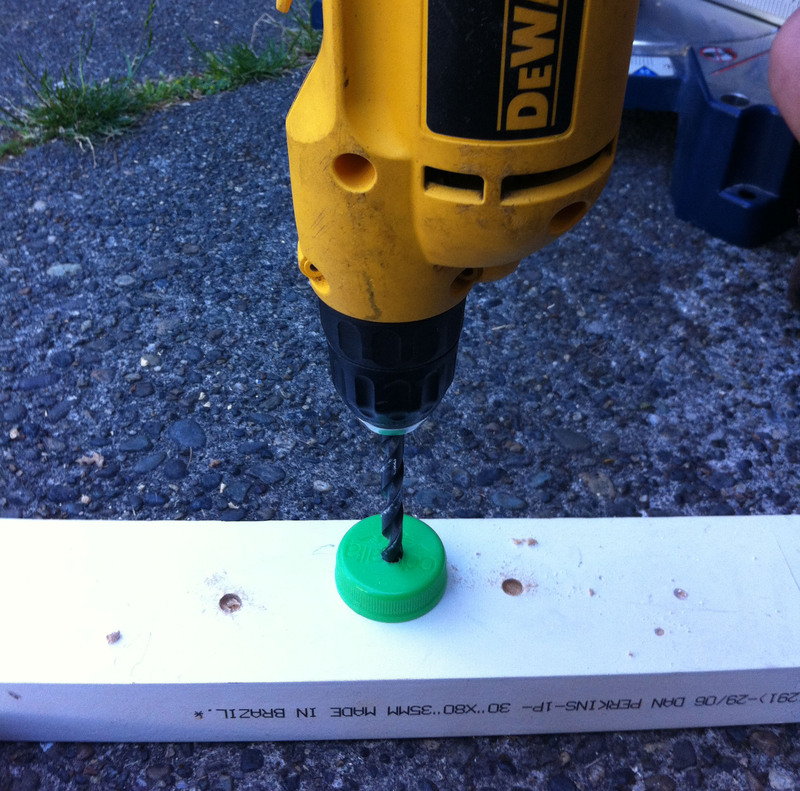 Drill holes into the lids. Size of the whole will be dependent on the size dowel you use. You want the lid to fit very snug on the dowel so no gluing is required to keep the wheels on. Step 5. 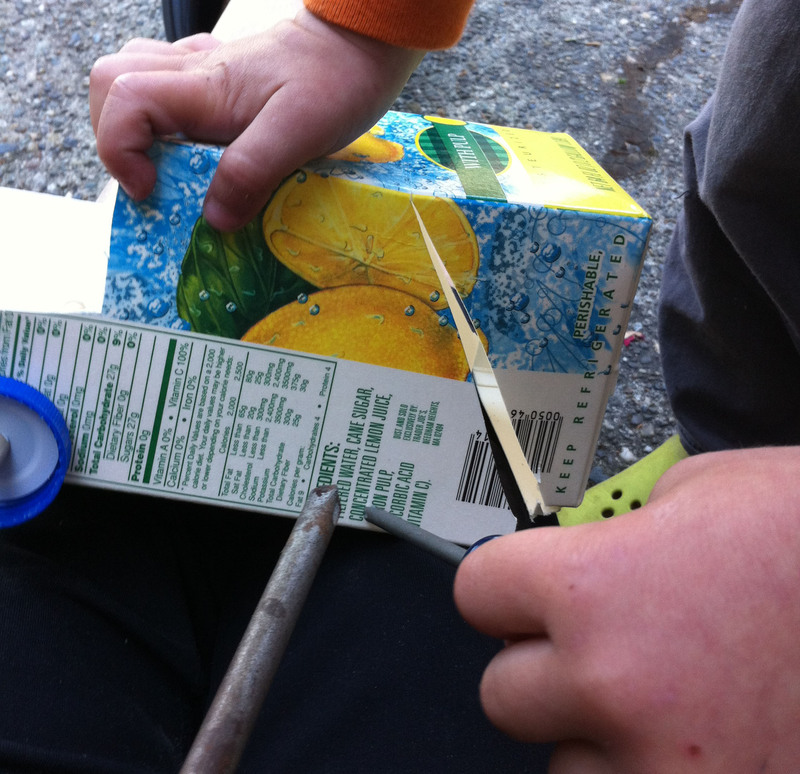 Use a screw driver or another pointed tool to make holes for the axles. Size will depend on the size dowel you use for the axles. You wan the hole to be just big enough but not too big. Step 7. 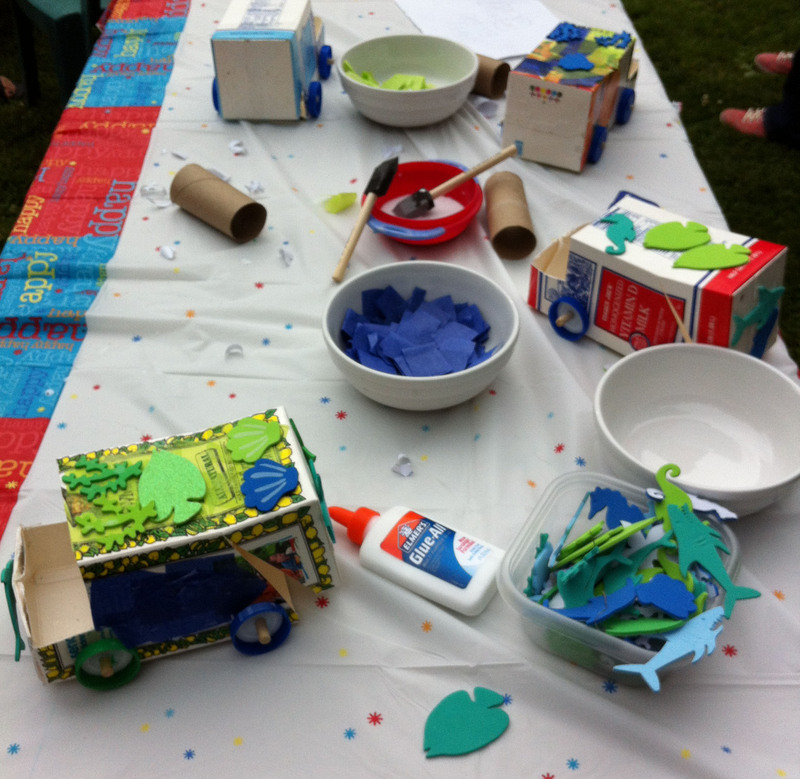 Gather all the pieces and lay them out for the kids to take what they need and then assemble the trucks. 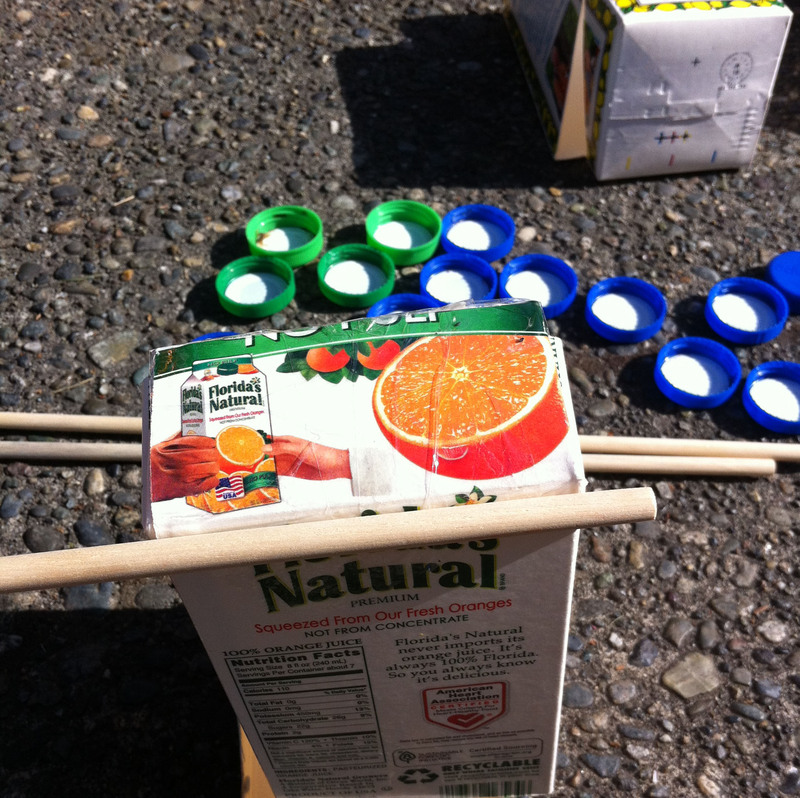 Insert dowels into the carton and then attach wheels by pushing them onto the dowels. No glue should be needed. Step 8. Decorate the trucks! I used tissue paper square, foam stickers, and duct tape for decorations. For little ones, I poured the glue into bowels and had foam paint brushes. I had markers to use to make faces on the toilet paper rolls for drivers. Don’t forget to write names on the bottom of the trucks.